Great Day Improvements partners with ProVia®, one of the highest quality window manufacturers in the industry. 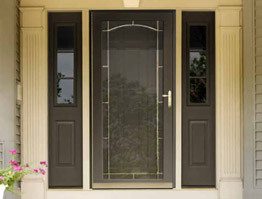 Protect your home from the elements with a strong, durable storm door. 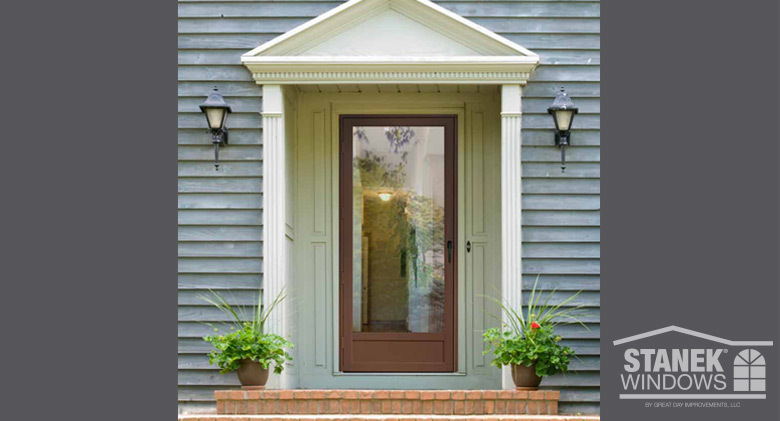 Storm doors give your entryway added protection. 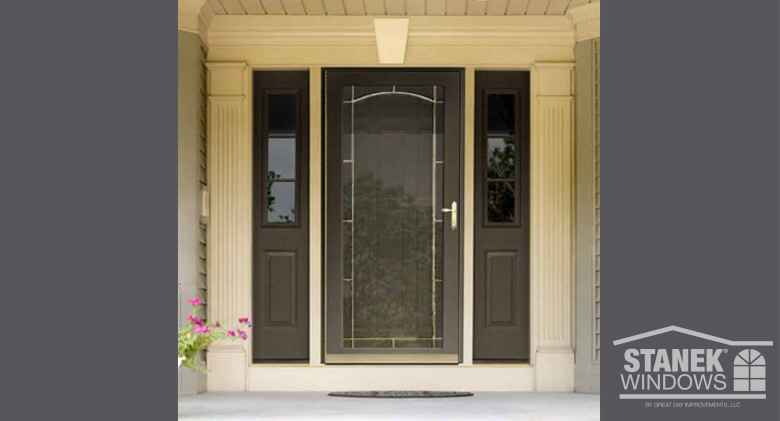 Choose the custom door perfect for your home. 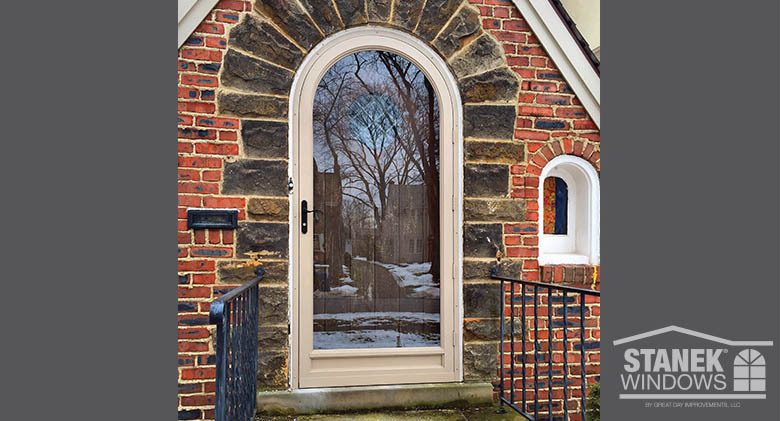 Custom-shape storm door in beige.